Influenced by Hitchcock and David Lynch, Bong Joon-ho has made a series of films that blend horror, suspense and dark comedy to comment upon Korean society and human nature. In his latest, Mother, an older woman defends her developmentally disabled son when he is falsely accused of murder by a lazy and corrupt small town police force. Bong takes this seemingly feel-good premise and turns it into one of the most surprising and unsettling films in recent memory. His use of inventive cinematography often tricks the viewer’s eye, a fitting choice for a film that is in the end about our ability to deceive ourselves. In December the Obama administration brought 30,000 U.S. troops to Afghanistan, attempting a surge strategy similar to Bush’s in Iraq, and, with the escalation of the war, the Taliban has found its way back into public debate. 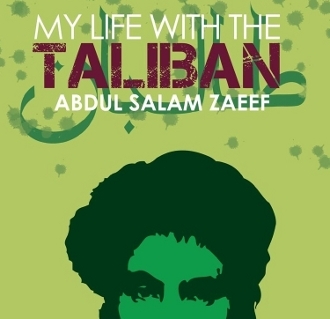 Abdul Salam Zaeef was the Afghanistan’s ambassador to Pakistan, where he was captured in 2002 and held in the Guantanamo Bay prison facility until 2005. Michael Busk reviews Zaeef’s recent autobiography, which brings up troubling questions about the conduct of the U.S. government but also what the appropriate response to theocratic despotism might be. For further Afghanistan reading, check out William Vollmann’s out-of-print Afghanistan Picture Show, which recounts his time as a naive young buck fighting alongside the Mujahdeen against the Soviets. Also, recommended is Love and War in Afghanistan, a collection of oral histories that shows that region’s conflicts from many wildly different perspectives.